Karen is an author and family management expert with one Vespa, two daughters, three dogs, and four ailing parents. She has overseen more than a dozen moves, including to and from Switzerland. Her current book project in-progress, Charlie’s Chicks, utilizes the best parts of her travel and family experiences, plus bicycling downhill at 40 miles an hour. 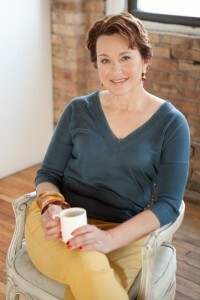 Karen has published six books including three novels for adults: The Proposal (Delacorte), Family Portrait (Delacorte), and Come Home to Darkness (Kensington). Her three books for young people, To Cross A Line (a young adult novel), Sleep Song (a picture book) and The The T.F. Letters (a middle-grade novel) were all published by Richard Jackson, one of the most respected names in children’s literature. Her writing has appeared in dozens of top publications including Entertainment Weekly, Parenting, Glamour, American Way, and The New York Times Sunday Book Review, where she has published 60 reviews, including two of novels that went on to win the Newbery Prize. A former columnist for The Dallas Morning News, her essays were self-syndicated to a dozen other metropolitan markets and reprinted in writing textbooks. She is a regular contribute to Ask Amy. Since 2005 she has been active with Room to Read, which builds libraries and schools for impoverished children in the Third World. She organizes fundraisers and book drives, serves as an ambassador to prospective donors and consults on other events. She’s done site work in Africa and Asia and recently participated in a 10 year anniversary trip to Nepal, opening the organization’s 10,000th library.